NaijaBet Season Booster is here, bigger and better, it commences 12 am 10th August 2018. It’s very easy: For anytime you make a minimum deposit of ₦2000 to your NaijaBet online account your account gets credited with extra 10% of the deposited amount up to ₦50, 000 free bet credits. 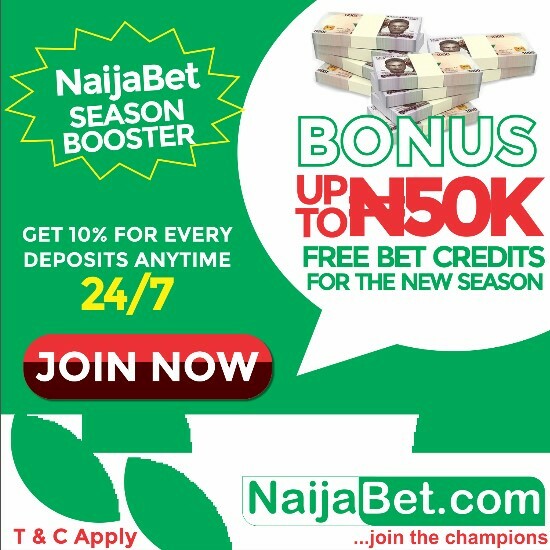 All Payment Options on NaijaBet.com will qualify you for the NaijaBetSeasonBooster 10 percent bonus EXCEPT Bank Deposits, Bank Transfer and ATM Transfer. 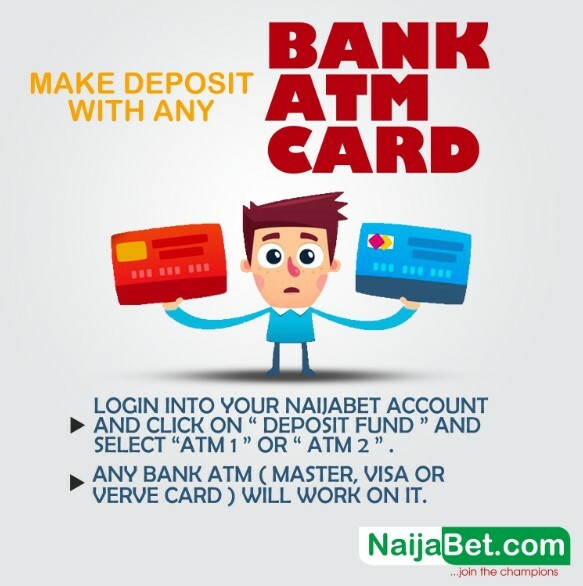 Also, for any time you use ATM 1 & 2 payment method on NaijaBet website, use the Promo code: NAIJABETBOOSTER. Please am new in Naijabet.com, I need directions on how to start. I want to be an agent. I need help from you people .thanks. I want to be an agent .please you people should help me. thanks. Good day sir, thank you for the inquiry. This is NaijaBet an email has been sent to you via [email protected]. It contains the gains and procedures to become a NaijaBet agent.